What do you do when your pet has moist ears that are causing a minor irritation but there is no open wound? This could be caused by mild allergies or just a case of swimmers ear. 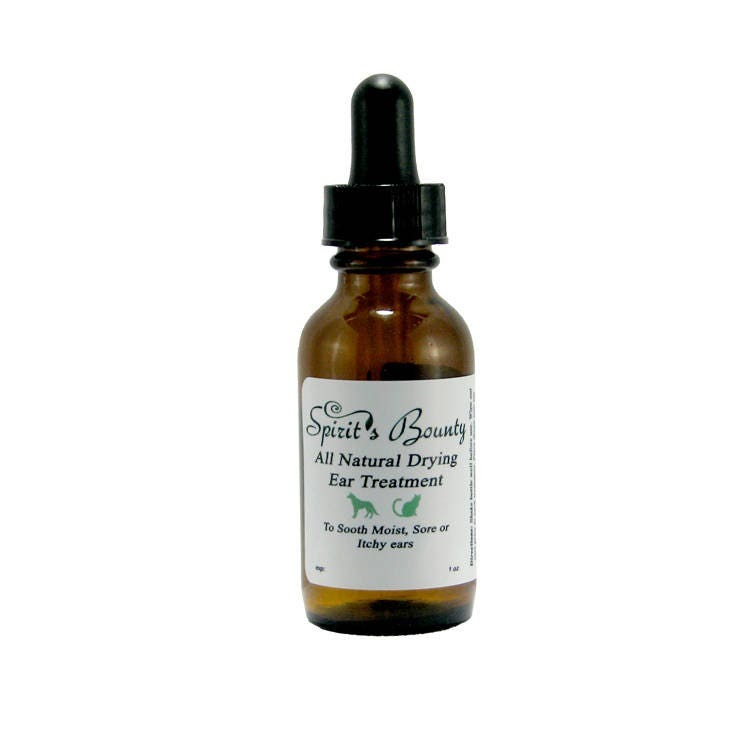 Spirit’s Bounty created the Ear Drying Formula for those reasons. Our Formula contains a soothing blend of astringent/drying extracts with the antimicrobial effect of colloidal silver that will help to sooth ears that have become irritated. This productis not to be used on any ears with open wounds or infections. This product is not intended to diagnose or treat any disease. Ingredients: Witch Hazel U.S.P., distilled water, Organic Calendula tincture, Organic Chamomile tincture, Colloidal Silver, Berberis vulgaris 200C & SB Formula Mix.